I Have Brought tu To My Duggins!. . 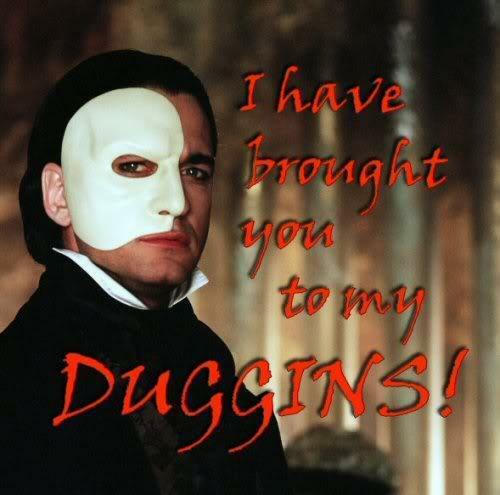 Wallpaper and background images in the el fantasma de la ópera club tagged: the phantom of the opera phanwank duggins gerik. This el fantasma de la ópera fan art might contain máscara de esquí. I Have Brought tu To My Duggins!